Home / Pregnancy / Do I have to do the CTG during pregnancy? Do I need to do CTG during pregnancy? 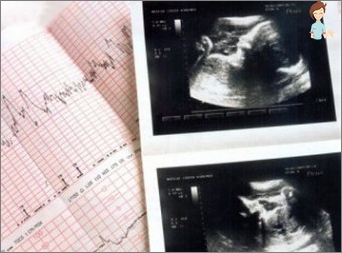 One of the most important studies in the periodPregnancy is considered cardiotocography (CTG), which allows you to assess the condition of the fetus and to track the dynamics of its development. When appointed by this procedure, and what it may indicate the results will be discussed in our article today. 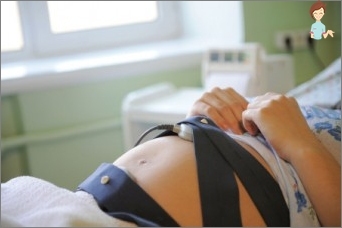 Cardiotocography is a viewmedical examination to be carried out during pregnancy to assess the performance of the future baby. The procedure involves monitoring the mother's uterine contractions and the measurement of the frequency of heart rate of the child. Of importance in this study is onecategory with doplometriey and ultrasound. Timely CTG during pregnancy makes it possible to detect deviations from the crumbs of the future and find ways to solve potential problems with his health. As a rule, the terms of the first of the CTGcoincide with the 30 weeks of pregnancy, but if pregnancy occurs with complications, the doctor may give a direction and at an earlier stage. In the normal course of pregnancy, the study makes 2 times, but if there are any complications, the number of CTG determined by your doctor. Cardiotocography can be carried out in the perioddelivery. Especially CTG during pregnancy do when the baby is observed cord entanglement and requires constant monitoring of his condition during delivery process. One feature of this procedure can be namedits absolute security for the child and for the expectant mother. Before the procedure, the doctor said, how do CTG during pregnancy. The study involves the connection of several transmitters to a pregnant belly, which allow to obtain the necessary figures. The procedure of the lying or reclining. Pressure sensors measuring the frequency of uterine contractions. The data recorded in the form of graphs and recorded on paper. The procedure typically takes from 30 minutes to one hour, and should coincide with the phase of fetal activity. Expectant mother is ill with diabetes or suffering from hypertension. Also, if a pregnant perehazhivaet, and the emergence of the term baby born has arrived, CTG is necessary. Before you go to the CTG, a woman needsbe sure to sleep well, mentally break away from everyday worries and nourishing meal. Doctors recommend to the CTG chocolate snack, the child moved into a phase of wakefulness. Given that the research takes a long time, you must first go to the toilet, so as not to feel discomfort during the CTG. Since the results of the study are unique graphics with different lengths of curves, then their interpretation - it is quite responsible and requires the involvement of a professional. But some future mums, getting resultsresearch, can not wait to find out what shows conducted by CTG during pregnancy, and everything was in order with their future baby. Therefore, we consider the main indicators, which can be read on the survey results. Dynamics of changes in heart rate. In addition, each index is evaluated on a scale from 0 to 2 points, as a result scores on all indicators are summed up and give the final result. 5 points or less - CTG poor pregnant are at risk and requires immediate hospitalization. Heart rate of the child mustrange from 110 to 160 beats per minute. Schedule is an alternation of high and low levels. But the doctor's assessment is based on the calculation of the mean value, which defines the basal rhythm. In addition, the evaluation criterion isheart rate variability baby. Deviations in the graph represent multiple cloves of small type, which within a minute should not exceed 6 pieces. It is a normative indicator for a period of 32 to 39 weeks of pregnancy. If there are more, then we can talk about a bad result CTG during pregnancy. However, simply counting the number of small teeth,make hasty conclusions should not, because it is necessary to assess the existing and amplitude variations. It is determined based on the average height change calculating teeth and meets standard value of 11 to 25 beats per minute. The negative performance is the presence of changein height at around the teeth from 0 to 10 bpm. But this figure can be considered satisfactory, if the baby is asleep or gestational age less than 28 weeks. If this figure is greater than 25 beats per minute, then there is a risk of entanglement umbilical cord of the child or the presence of hypoxia in the fetus. But on their own to draw final conclusions, and it is not necessary to decide what your CTG during pregnancy has bad results. Does the study coincided with the wakefulness phase crumbs or affected only the phase of sleep. Thus, we can conclude that the methodCTG is very useful for pregnant women to determine the current status of the child and identify possible complications. This makes it possible to take timely measures to address the risks for mother and child, especially since the study procedure is completely painless and does not adversely impact on the future baby. Therefore, if the doctor suggests you to undergo the procedure and explains what makes CTG many pregnant women should not give up, because it is necessary for the health of your unborn baby. Health to you and your child!